Who makes a running shoe with a large toe box? Brooks Runnign shoe has a great toe box on the Pure Cadence. I wear Brooks Ghost 11s for this reason. My Brooks Ghost 6s do. I tried on 7s yesterday, and they’ve lowered the toe box in the new style. 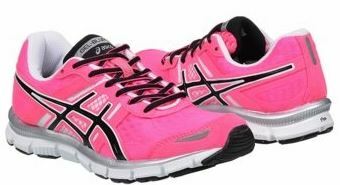 Asics Nimbus has one of the wider toe boxes in the Asics brand. Altras have the largest. That’s what I’m currently wearing. Nike lunar eclipse 3, I wear them for this reason! Altras have a huge toe box but they are seriously hideous. Brooks makes a good size toe box too though and I personally love Brooks. Hope this helps! Saucony, I’ve worn the Kinvara for 5 years. Just switched to Adidas boost , also nice. I got blisters in Nike free FYI. Not as wide . I really like to have a roomy toe box and have worn both Brooks and Saucony. I heard about Altras on this community and have bought 2 different pair in the last two months. I’m finally able to run without having a morton’s neuroma cause discomfort. I have a really wide forefoot and love my Asics, I haven’t been able to switch ever! I have wide feet. I have rather large feet for my size (5’7, size 10 1/2 shoe) I’ve tried ton’s of shoes. What works, for me anyway, is Mizuno’s anything by them. The shoes are wide, roomy at the toe and last. Altra. Super cushy. Like running on yoga blocks. I have wide feet and found that Brooks are wider than Saucony and Asics. I find they are the most comfortable. New Balance come in wide sizes too. Brook shoes don’t even need to be broken in and they are comfortable! Hey they need to give me money for giving them a great plug lol! Brooks. My brother has to get the EE width and they make them. Regular width are wide enough for my feet with a slight bunion. From my shoe experience, Asics always had the biggest toe box for me. Mizuno, very narrow toe box. Try different lacing techniques too to get a little more give in the toes if needed. Lots of YouTube videos on lacing. That’s right, I forgot, I lace mine differently to increase my toe box. I lace my right even roomier than my left. It works well. Brooks Ghost series and Brooks glycerine both come in wide width. I have worn both of them. 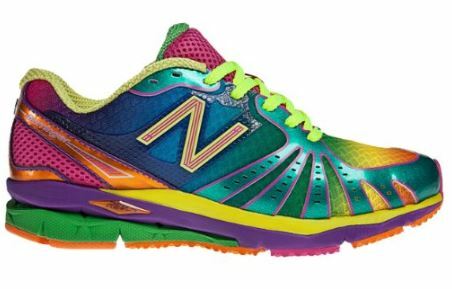 OK, with all the suggestions being thrown at me from this post, what are the ranges of $$$ these shoes will soak me for? ON, try the cloudsurfer, they will set you back about $135 – $150. Brooks ghost. I have a narrow heal and wide toe box. Best I’ve found! Yeah I was very pleased. They were still a bit more than I was used to but worth every penny! Comfort was key! I would be afraid to buy shoes off the internet…..looks like I am going to have to go to my local stores to check out all these find suggestions you all have given me….. I don’t think I could wear them type, I have a bunion and need the support for my heals, and unless them have a ton of padding, I really don’t see them as my type. No offense, but good suggestion. Altra! I switched from brooks to Altras and they’re much wider! Soloman has a wide toe box. You can find great deals online. Since you are trying a new sore, first go to your local store and try on several pair until you find one or two you really like. Then go online and find them for a better price. They will often be older models, but that usually just means a different color than the ones in the store. Saucony. That’s why I’ve run in them for the last 33 years. I had a couple pair of saucony that were great, could no longer get them in my size (11.5). Finally found my new loves. Asics gel-cumulus 16. Wide toe box, right size. I got them for about 115.00 on sale. Another option is to purchase “men’s” running shoes. I did that when I just HAD to have neutons. Altra has a big toe box!!! And zero drop soles. Altras have a VERY generous toe box. They are very comfortable…but you have to be ok w the zero drop. Takes some getting used to. I have toe issues so the bigger the toe box the better. Zero drop is a big difference from the traditional running shoe, and you need to start with them gradually. Diligent and effective calf stretching is a must after every run. But I’ve adjusted and they are the most comfortable shoes I’ve ever worn. I wear them for my long runs and non-race running. I do think, however, that I run faster in my Brooks and use those for 5ks and 10ks races – they aren’t as comfortable but the soles are stiffer and more conducive to speed. I have a bone spur on my big toe joint; my foot gets numb if the toe box is too narrow. The Altras solved the problem for me. I’m seeing a foot specialist in July to see what the next step is, but I am going to TRY and AVOID having it removed, but the bone has sorta separated from the toe itself, making the nail turn funky colors…..
My Asics Gel Kayanos have a large toe box. My bunion looks exactly like that yes, ouch! I Ordered the Brooks Ghost wide….perfect! I also alternate with Brooks glycerine regular width and they are wide enough for my bunions as well. This entry was posted in Running Shoes and tagged Running Shoes.